Have you ever noticed we do some of our best thinking when we are not trying at all? This year I vowed to not think about education for at least a week and to immerse myself in some good historical fiction while relaxing at the beach. Right as we were leaving though I did print out a 2012 white paper from Jay McTighe and Grant Wiggins called “From Common Core to Curriculum: Five Big Ideas.” Because McTighe & Wiggins do so much training of teachers all over the country in how to implement education reforms (even in states like Texas that did not formally adopt the Common Core), their vision of the classroom implementation is quite relevant to what is really going to happen within schools. That paper really hammers home the extent to which the desired focus is now on specifying desired behaviors in students and then setting up the opportunities to practice those behaviors until they become a habit. Standards for College and Career or Workplace Readiness is then a euphemism not for certain levels of knowledge that prepare a student to be an independent adult, but for having practiced performances in authentic contexts enough that what a student will do when confronted with “messy, never-seen-before problems” or “new challenges” becomes predictable. That’s what McTighe & Wiggins want to emphasize as the ultimate aim of a curriculum: independent transfer. Unfortunately for them, I have encountered these aspirations of trying to program students so that their likely perceptions have already been gamed long before they encounter new experiences. My reaction has always been “So you want the student to apply this analogy even though it is not apt or follow beliefs that are not true?” And honestly, if transformational social, economic, and political change is the ultimate end game as all my sources repeatedly assert, cultivating a capacity to act in predictable ways, regardless of the current facts and without awareness of the likely circumstances, is an effective, if dangerous, means for facilitating mass change. Now McTighe & Wiggins acknowledge the longevity of this behavioral pursuit of “desired performances by the learner” by tying it back more than 60 years to Ralph Tyler. They quote Tyler that the purpose of standards or outcomes, or his own term ‘objectives,’ is to indicate the “kinds of changes” to be “brought about” “in the student.” They do leave out the fact that Ralph (who had worked with John Dewey) was also coining the very phrase “behavioral sciences” at about the same time he conceived of making behavior the focus of curriculum and then using the ambiguous term ‘objectives’ to obscure such a radical shift. A proud tradition of obfuscation over actual intentions that continues in education to this very day. Which is what kept teasing at the edge of my mind while I tried to relax. The recognition of just how often the phrase “teaching and learning” or “learning and teaching” keeps recurring not just in connection with the actual Common Core implementation, but also as a headlining description in English of UNESCO’s Agenda 21 education work and the primary phrase used to euphemistically describe radical ed reform in the 90s. http://www.invisibleserfscollar.com/didnt-the-president-just-admit-ccssi-was-a-ruse-to-change-classroom-interactions/ All that musing also reminded me that when I first started researching the so-called math and science wars in curriculum, the university based curriculum centers that pushed all these bad ideas in return for massive grants of federal money were consistently called “Centers for Learning and Teaching” or CLTs. Now I knew that the English phrase “learning and teaching” in whatever order was an unappreciated term of art translating a Russian word for guided psychological growth called obuchenie. By the time of my return trip from the beach, the number 1 research item on my list was to resolve my curiosity about whether the term obuchenie accurately summarized what McTighe and Wiggins were describing as the actual classroom focus of the Common Core and what the new assessments should be measuring. Now the nice thing about correctly surmising how something is linked and that the same concept is hiding under multiple seemingly innocent names is that simple searches throw out lots of open declarations. Even so, I was floored to find both a 2012 Russian Journal of Cultural-Historical Psychology from Moscow State telling me I was correct http://psyjournals.ru/en/kip/2012/n3/57239_full.shtml along with a 2009 article from Professor Michael Cole, the US overseer of CHAT-Cultural Historical Activity Theory http://lchc.ucsd.edu/mca/Journal/pdfs/16-4-cole.pdf .If this were all a game, I would be able to yell out “BINGO!” now for the win and the pot of money. Every single one of these sources is consumed with the stated problem of transfer. What can be done to guide future adult behavior in desired ways? Long-time readers know we have already encountered the nerdy expression Ascending from the Abstract to the Concrete from Soviet psychology and its ties to Professor Cole’s work (see tags for him and CHAT). That Russian psych term is helpfully a part of the Mindset to be created now apparently in American students and students all over the globe. Instead of a focus on teaching factual knowledge, the Soviets saw the behavioral implications of teaching theoretical concepts instead. The theories then become the lens through which everyday experiences are perceived. Knowledge itself becomes construed as the perceived relationships among objects (i.e., the repeated insistence on thinking in terms of systems), instead of factual qualities of the objects themselves. ‘Developmentally ineffective’ is another euphemism for saying it will not guide future behavior in predictable ways. The Common Core would decree that ‘Deep Learning’ (as championed and financed especially by the Hewlett Foundation) has not occurred. Now we can also see the reasons for hands-on science and math and project-based learning as a new focus. It provides the empirical experiences that the desired theoretical concepts like fairness or social justice can be pegged to so that the student believes over time what ever the curriculum developers want him to believe. As you can imagine this will be really handy for anyone intending to push climate change regardless of actual facts, as the RSA and the Garrison Institute have both announced underlies their ed work. It is also handy if you intend to push a new economic system and blame all the current problems attributable to too much previous government interventionism on the “continued adherence to free market capitalism.” See http://www.50plus20.org/film for a preview of the last installment of this trilogy. At the end of the Russian psych journal, it concedes that obuchenie or making education about psychological development in predetermined ways is the means by which All Students Can Learn. It is the method of “democratic solutions to mass education.” A phrase that should give us all pause as we have constant demands to close the achievement gap and ignore real differences among students. Free societies do not cultivate ideological thinking as a matter of habit in their young people. Free societies do not try to program future behaviors to be prompted at an unconscious level in their young people. Free societies do not measure effective teaching by whether obuchenie is occurring within the student so that they can be relied upon in the future to act without regard to facts. Free societies do not assess students to see if an obuchenie Mindset and Worldview is taking hold in a student. Since none of this is speculation about what is being put in place in the name of the Common Core, where are we really headed in 2014? Friday was a heartbreaking day. I obviously wrote the previous post before we got the tragic news of those lost precious young children and the Principal, School Psychologist, and Teachers who lost their lives trying to protect them. 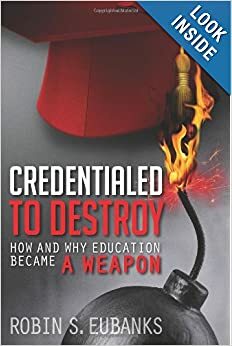 It is certainly a reminder that in all my writing about what has really been going on in education and what the actual intended goals are, well-intentioned, brave adults are being manipulated in all this to be Inadvertent Agents of Change. Many are unaware of what the actual goals are and any past history. Or they are Intentional Agents of Change but nothing in their background could possibly alert them to the gravity of what is being attempted via education. I cannot let the topic of what is planned go. After all, for a history geek the phrase “general objectives of a spiritual, philosophic and cultural nature reflecting a certain idea of mankind” coupled with taxpayer money and an unaccountable bureaucrat in charge of obtaining the sought transformation is akin to waving a red flag in front of a bull. He wants to charge and gore. I want to find a helpful anecdote to illustrate the consequences and write. But being graphic so soon after Friday’s tragedy about what I know about Connecticut education and how long Outcomes Based Education has been ramping up the transformational summit there and then comparing what I know from my other examinations of similar tragic events will wait for another day. I have a strong insights and lots of hard evidence that we must consider in time. Before these schemes and policies and procedures are fully nationalized. But not today. I have gone back though and pulled two older posts that many of you may never have seen. I would like for you just to contemplate the kind of mental and emotional manipulation that has been going on with political aims in mind. http://www.invisibleserfscollar.com/real-change-will-require-new-values-and-new-ways-of-thinking-or-social-engineering-is-hard/ is based on a March 2012 aspirational article in Scientific American. I also would like you to appreciate that the five basic shifts in human thinking proposed and quoted in that post left the planning stages quite a long time ago in many school districts. Let that reality sink in. Then I would like you to read http://www.invisibleserfscollar.com/priming-delicate-minds-for-a-desired-disruptive-revolution-what-is-the-real-damage/ from early August and begin to appreciate just how Orwellian and manipulative the term “Best Practice” actually is. One of the solutions already being raised for shooting rampages apart from gun control is better Moral and Character Education. Both those terms have been hijacked by political radicals to mean changing values, attitudes, and beliefs through the classroom to again gain a collectively-oriented political and economic Transformation. That post will help you have the proper skepticism that the proposed solution will likely create more of the problem. And appreciate how subtle and mostly out of sight Bill Ayers’ activities really are. As I so often do, I sought this past weekend’s solace and insights in history and decided to tackle John V Fleming’s The Anti-Communist Manifestos: Four Books that Shaped the Cold War. I thought I was taking a break but it turned into a real lesson on the importance of the “psychological mechanism of belief” as a prominent topic in all the autobiographies of the former Communists. In choosing freedom they had to examine all of their prevailing beliefs. Instilled from an early age. They each recognized and wrote about how it is beliefs that drove their actions and beliefs are not opinions. That really caught my eye. All those former Communists recognize that beliefs must be confronted if they are to live in freedom. And the schemers who want to use education to gain a more collectivist 21st century society not grounded in Individualism or Capitalism keep referring to “changing values, attitudes, and beliefs” as the Outcomes Based Education mantra phrased it. So like Values but less limited in number, Beliefs drive behavior. Frequently at an unconscious level. Very useful to control of you want to change society. False beliefs and tragic values can still be highly influential. Here are a few of the false beliefs these Communists had been taught to passionately believe. It’s not too much different from what many K-12 and higher ed students are today being led to believe. All that strikes us in the West, especially from the vantage point of the 21st century and not the late 1940s, as stunningly false. Unbelievable. And the part I left out about the US and Britain being Sluggish and unreliable World War 2 allies? hits us as ungrateful and ignorant. But beliefs filter reality and each event in the real world was perceived through these set of beliefs as well as the fostered values of Community first. Submission to the wisdom of the Leader. It took quite a long time to reassess such a belief system. Still does. Which is why creating a useful belief system was the goal of the Catholic Church in the MIddle Ages and the Communists in the 20th. It is also apparently why Ralph Tyler originally created Learning Objectives, which his student and good friend turned into Outcomes Based Education. Which is now called Norman Webb’s Depth of Knowledge and has been incorporated into both the SBAC and PARCC Common Core assessments. Scheming ideas never go away. They simply get new masking names like Higher Order Thinking Skills. My other weekend diversion of research did not go as planned either. The Teacher’s Workbook for the Facing History curriculum I wrote about in concern here http://www.invisibleserfscollar.com/changing-the-filtering-perception-the-way-we-see-the-world-is-key/ came. And I was right to be concerned. If ever a curriculum was designed to foster hate (by fostering false equivalence between 19th century blacks in the US and what happened to the Jews in Germany) and drive future political action and create a false and dangerous belief system it is Facing History. But what is easy for me to see as a history devotee would be difficult for the typical student or teacher to accurately perceive. They will become, as intended, passionately aggrieved. Under the delusion that Fascism has to be about race and involves a dictator. Taught to believe that Propaganda was what the Germans did to the Hitler Youth, not false attribution of historical causes in order to incite their passions. Well, everything about OBE under whatever name it goes by and the Facing History curriculum and what we have been chronicling on this blog seeks to “crowd out the ability to think” in the sense Arendt meant as Totalitarian. Yet by including that quote and constantly using the term “thinking” to mean merely expressing an opinion or emotional beliefs and all that reflecting in journals, we are priming students to believe they are free. When they are not in the least. And that false Belief System and reworked values designed to prompt political action at an unconscious level is the Whole Idea of these Reforms. We live in interesting times. We will have to continue to look at where this created false belief system and SEL student-centered classroom have been and are going. We need to stop using the classroom to create an obedient mind to make gulags unnecessary and stealth control possible. Are the New 3 R’s and the Student-Centered, Inquiry Driven Classroom a Means to Eastern Spirituality? We are so trained to defer to religious beliefs as a private matter and something that, at least in the US, Government is supposed to stay out of, that it can take a sledgehammer hit to force us to look at what was staring us in the face all along. I would write stories and then run into the advocates as teachers in a California Wisdom Center. And ignore it. I have traced many of the education reformers/professors to discussions about Third Order Consciousness. And ignored it. Mustn’t be controversial. It’s a private matter. I wrote posts about sought Deep and Continual Personal Change within each Student and ignored the clear references to Meditation Practices. It’s just not how I think. It’s an area I did not want to go to. I have written about Peter Senge and his Systems Thinking and his Presencing book but chose to overlook the links of his sought education and organization practices to his Buddhist practices and beliefs. Again we want to see spirituality as a private, personal matter. Bringing it up and discussing it are off limits. Even when personal Spiritual/ Internal Values are clearly targeted by the Full Personality/holistic education/Systems Thinking focus we are discussing. The Sledgehammer forced me to confront this Reality recently when I was filing some of my research and glanced at a xeroxed Preface called “Education Trends in a World Crisis” from a 1954 book Education in the New Age. Now its author, Alice A. Bailey, is a controversial New Age enthusiast/Theosophist and apparently much more (you can search out the more lurid details. That’s not my point) but the description in the Preface fit the emotionally driven, intuitive, nonrational mind we have been chronicling. That was the desired Goal. Bailey was the one describing the Sought Mental Global Reality in Students and Future Voters we have been examining in terms of synthesizing Tibetan spirituality practices. She was the one writing about using education globally to “resynthesize the objective and subjective, the extrovert [the West] and the introvert [Oriental Asian] civilizations and to achieve a great orchestration of culture.” When you mention culture like that and it turns out the book is a write-up of a 1953 seminar in Chicago funded by the Ford Foundation and you go on to describe your education “project” as based on a UNESCO document you have my full, undivided attention. Most of what we have encountered throughout this blog’s journey traces back to UNESCO involvement and Ford funding. The Regional Equity Movement now is a high priority of Ford and they have hired a John Goodlad confederate, Jeanne Oakes, away from UCLA’s Center for Democracy and Education. She is behind most of the research claiming academic tracking is a bad idea. Ford Foundation employees edited Breakthrough Communities: Sustainability and Justice in the Next American Metropolis. The book I got the Van Jones essay from. Same involved employees were listed as part of that CA Wisdom Center I already chose to ignore. Sledgehammer moment caused me to go check to see if Bailey’s book was still in print. The answer? Yes, with its Twelfth Printing listed as 2012. This year. Someone thinks this is still a relevant global vision. For UNESCO’s Education for All globally? For its Decade of Education for Sustainable Development? To promote the Orwellian named, John Dewey inspired, Quality Learning, globally? Only one way to find out. So I bought Bailey’s 1954 book as well as a 1932 book, with a 1960 copyright published in 1972, called From Intellect to Intuition. You see I remembered the kind of emotionally-driven, Arational Minds being sought via education http://www.invisibleserfscollar.com/blending-sustainability-and-education-to-gain-arational-nonlinear-minds-and-new-behaviors/ and wanted to see if part of the impetus for rejecting Axemaker Minds was coming out of this Altered Consciousness to fit with Eastern Spirituality emphasis. That would be a huge, emphatic YES!! More on that shortly or in the next post. Remember I am providing those dates above for a reason. Think of World Affairs at those times. Bailey’s Goal for Education is not the least bit modest. She wants to inculcate a World-view in each person on the planet Earth that “will make possible a planetary civilization by integrating whatever trans-temporal and trans-spatial truths about man and the universe we can extract from all regional cultures in their local times and places.” That was Thomas Berry’s Bioregional Vision too. Also involved with the CA Wisdom Center I ignored. That would be the Student-Centered, Inquiry Driven Classroom John Dewey wanted with its Quality Learning goal. http://www.invisibleserfscollar.com/why-quality-learning-may-be-the-last-thing-you-want-for-your-child/ . The kind of classroom and practices the accreditors like AdvancED and consulting companies like Cambridge Education mandate in their reports about Quality. Now. In 2011 and 2012. That would be the same Quality Learning that is “intuited rather than deduced, felt rather than described, and is immediate to the situation [concrete real world problems in context] rather than removed from it [the forbidden abstract conceptualizations within the privacy of your own mind with your own set of known facts]. “to be receptive towards impressions emanating from the mind.” This to Bailey is meditation but to work it requires moving education away from “education of the memory and the cataloguing of world knowledge.” Sound Familiar? Can’t be “the old education with its memory training, its books and lectures and its appropriation of so-called facts.” This is the actual CCSSI implementation model. Cannot be about the teacher transmitting knowledge. That’s a Barrier to a Mind open to Bailey’s New Knowledge. Must be about the New 3 R’s–Relationships, Rigor, and Relevance. That passage on getting to an inward feeling focus that is not rational provides a good definition of Relevance. But it also makes the arrival of the new C3 Framework, Social Studies Standards, from the previous post, even more important. Making the classroom focus Questions about “societal issues, trends, and events” that the student is interested in is precisely the kind of “new and intriguing” and “fresh and dynamic” matter Bailey wrote about so long ago. I am just getting started. This turned into quite an illuminating inquiry once I recognized where I had to look. Except my inquiry is not John Dewey’s definition. Mine is driven by facts and open declarations of intent. Political Primer 101: What is the Marxist Theory of the Mind and Why Does It Matter in 2012? The Berlin Wall is down. Mao is dead. The Soviet Union is no more although I believe their national anthem is back. Why mention Marx at all? Isn’t it offputting in our 21st century to be bringing back previous hobgoblins that are now irrelevant? But is isn’t irrelevant. That’s the dangerous myth that makes a stealth assault through taxpayer funded and supported institutions possible. The misunderstanding of our adversaries, or even that we have any, acting through something like education that is supposed to be a Public Good. You may have noticed I will usually make references to Uncle Karl to make the point on what is involved without running the risk that readers will step back. The Bridge Too Far. I think honestly the misappreciation of what Marxism is and the vital importance of education as a primary cultural weapon has been deliberate. If we had rightly understood that consciousness and mindsets were under attack we would have caught on to what was actually going on in the Reading and Math Wars much sooner. We would be paying attention to the actual implementation documents on federalizing education that impact what must, and what Now Cannot, go on in classrooms. So let me step back now and frame what is under attack and why. At this point because this theory is so ubiquitous and poorly understood it is all the more dangerous. I think we will need the shorthand-“Oh, that’s just another scheme to impose the Marxist Theory of the Mind without us recognizing it” if we are to be able to successfully combat this Evil. I just went back and capitalized Evil because it cost too many human lives in the 20th century not to deserve a Capital “E” for emphasis. Plus let’s face it the related Bronfenbrenner Ecological Systems Theory and Vygotsky’s Sociocultural Theory of Learning are just a mouthful. And really created to obscure the political derivations while obtaining the desired political effects. Squelch individualism. Stomp the rational mind. Hobble the incredible human capacity to create private mental scenarios to weigh possible consequences of various possibilities and then choose to act or not accordingly. In other words, to crash that Axemakers Mind anywhere it might arise before it can happen. So Marxist Theory of the Mind is accurate and pithy compared to our alternatives. Which would also include John Dewey’s work. But what is it? Well, actually I just told you and have been all summer. I just avoided calling a spade a spade for as long as possible. The Marxist Theory of the Mind is a political subjugation theory. And I am not using the word Subjugation to show off Robin’s Large Vocabulary and Stock of $5 Words. I mean Subjugation in its sense of deliberate permanent altering of the Human Mind and Personality in order to have lasting Control and Unconscious Influence. See? A great vocabulary word actually does take numerous words to really capture its singular meaning. And that’s why the Marxist Theory of the Mind remains relevant in the 21st Century. We still have politicians and bureaucrats and Crony Businesses seeking economic and political power over the Individual. And Marx may have been a moocher from his parents and friend Engels who never had a real job in his life. And he may have thoroughly misunderstood capitalism and industrialization and who was benefitting and what was unstable. But his Idea that Your thoughts were not your own and merely reflected the Class you were born into painted a Bullseye on Mental Consciousness as a Target for State Manipulation. He blew that too by the way. Our thoughts are not merely a reflection of our social interactions and our environment. But think of the power if the nature of school and education could be changed to try and make this part of Karl’s dream a reality. That’s the dream that drove John Dewey and Ralph Tyler of the 8 Year Study (I have an interview he gave just before his death) and so many others. It has become the poorly understood essence of the modern education degrees. It is what drives the accreditation agencies worldwide. We are in Deep Peril if we do not understand this. So how does it manifest itself almost everyday now in what I am reading? It is embedded deeply in the Digital Literacy Initiative from the last post. There was also Tuesday’s Bridging Differences column claiming that the global economic crisis was due to the “insatiable consumption of our natural resources and control of the world’s wealth by the 1 percent.” Here’s a hint. Most of that One Percent live at the intersection of Politically Directed Capital and Politically Connected Individuals. It’s Al Gore and the Green Business Grants directed by the 2009 Stimulus Act to his investments. It’s the leaders of China and other countries. The imposition of the Marxist Theory of the Mind will simply make this state appropriation and direction worse as there will be no one to fight it. The One Percent should not be the Focus. State Crony Capitalism should be. Delightful details on when these remain malleable and subject to interventions. Lots of mentions of creating desired Mindsets and references to Carol Dweck’s psychology work without bothering to mention she is a noted Lev Vygotsky scholar. Little details. It’s not like that report did not have lots of research to back up what it was mandating. Oh wait, actually it admitted there was little proof for the theories but, hey, what’s the use of a government monopoly over children’s minds if you cannot do widespread research on the Theories after they have been forced into classrooms. What else just this week? There was Tuesday’s release of a report seeking an official rejection of capitalism in the Advanced Computing businesses and the adoption of an Industrial Policy to have the Government pick the winners and losers and blur the line between public and private when it comes to computer hardware and the semiconductor business. Called “The New Global Ecosystem in Advanced Computing: Implications for US Competitiveness and National Security,” it is a detailed plea for collusion among certain of the tech companies, higher ed, and government regulatory power and tax money. It is also sought by many of the same businesses pushing the Digital Literacy Initiative and the 21st Century Skills global push. The same businesses that push P-Tech Career Pathways for All in high schools. The same businesses insisting that students only need the 4 C’s and Soft Skills in the 21st Century. Creativity (with little subject knowledge), Critical Thinking (to recognize need for Transformation), Communication (Dewey’s theory that minimizes the cognitive element), and finally Collaboration. Because we know Individualism is so 19th Century. That’s awfully coincidental and self-serving don’t you think? Industrial Policy, Rejection of non-State Directed Capitalism, and Heavy Involvement in the Radical Restructuring of Education Globally? All essentially at the same time? Think there’s a connection? Let’s not even get started on how much of the actual Common Core curriculum and “Measuring” Assessments the Gates Foundation is also simultaneously funding. Which I have seen by the way. Now I appreciate the omnipresence of Environmental Projects. It really is all connected. As I wrote about here http://www.invisibleserfscollar.com/oh-good-grief-now-i-need-to-know-what-a-noetic-system-is-because-it-is-under-attack/, change the noetic system and the economic and political systems must change too. Marx knew that and so do many educators. And apparently tech companies now. It’s the American people and ordinary citizens all over the World in the dark about what is happening right now. I am going to close with what UNESCO wants, and through its allies in politics, business, education, and accreditation, is well on its way to achieving. Just in case you need reminding of how totalitarian these aspirations are. And global. And happening in Reality. This is from a January 11, 2011 Address in London by Irina Bokova that explicitly addressed Two of the “We Should All Emulate Finland” Crowd, Professors Michael Barber (UK) and Michael Fullan (CA). I reread it this week as I was mulling over the UN’s Digital Technology pushes in light of Joel Klein’s remarks about Amplify. I had previously missed these 3 objectives that typify the subjugation going on all over the world and all the sought manipulation in the classroom. “Responding to climate change also starts in the classroom. Education is the way to shape new ways of thinking and forge new, sustainable behaviour. These objectives guide UNESCO in leading the United Nations Decade of Education for Sustainable Development (2005-2014). It sure is now. But Whose?